You can get barcodes for your parcel, express and letter mail directly from your system. This simplifies dispatch processes considerably and links consignment data with your order information. With the “Barcode” web service, you can print the address label with integrated barcode, with or without the recipient address, directly as a label or integrated into your own delivery note. This allows you to optimize your dispatch processes, and save time and money. “Barcode” web service customer film for Suprag AG. The “Barcode” web service is free of charge. You only invest in connecting it to your system. 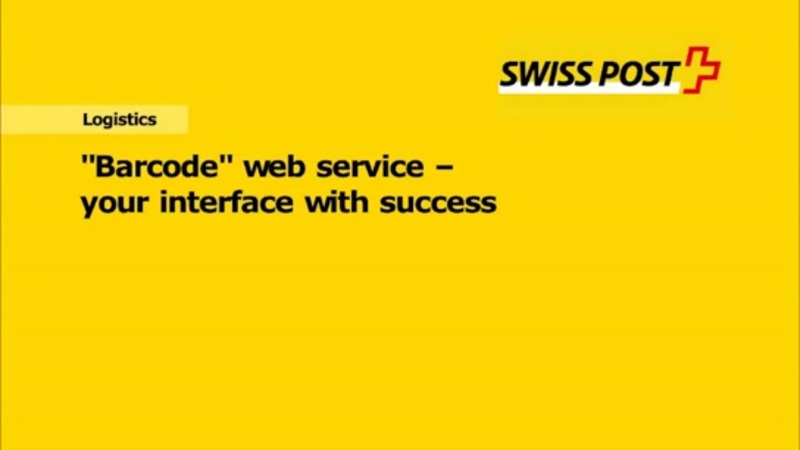 Customers who use the “Barcode” web service must have a billing relationship with Swiss Post. We will be pleased to help if you have any questions on the “Barcode” web service. You are already a “Barcode” web service user and require support in configuring the web service. We provide you with a range of resources such as manuals, example files and documentation. Documentation for the problem-free integration of the web service into a company’s own system. These tested continuous-feed label printers are suitable for printing shipping labels with integrated barcodes. The contact form for any web services enquiries.